QR [quick response] codes are 2D encodings of alphanumeric data that are widely used in our society. 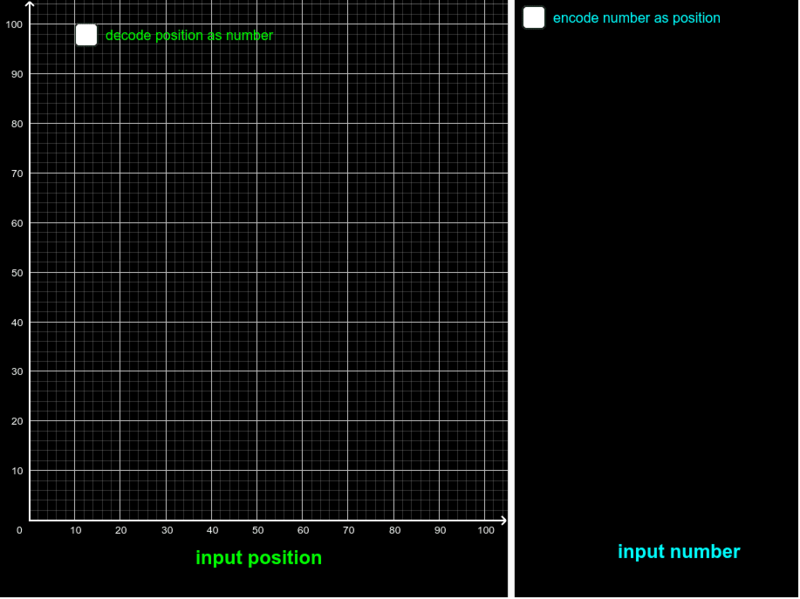 This applet is a very simple model of QR encoding and decoding. The applet allows you to explore how alphanumeric data might be encoded in the positions of points in a plane, or how positions of points in a plane may be decoded to reconstruct the original data. Do you regard such codes as a kind of parameter space for data? What questions could/would you put to your students based on this applet?